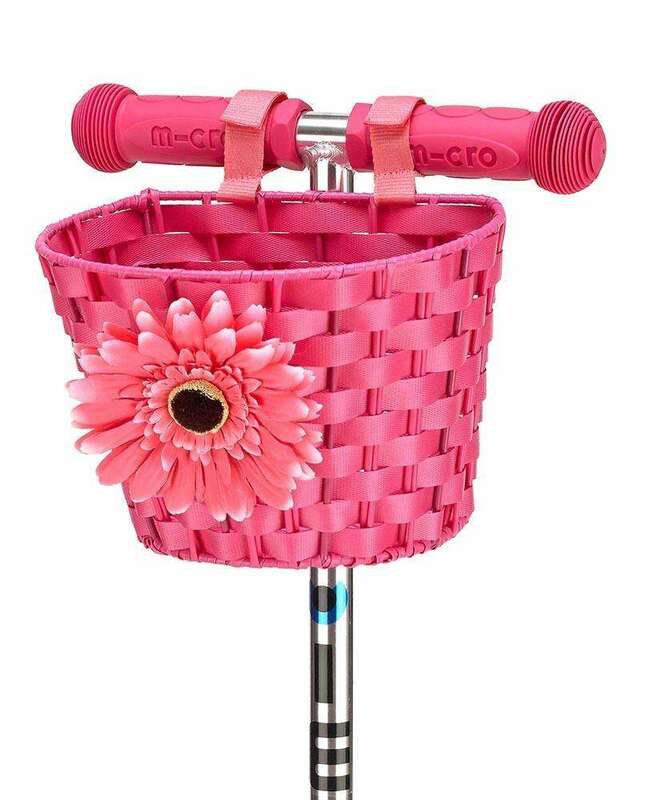 A pretty basket with flower that can be used on all Micro scooters. 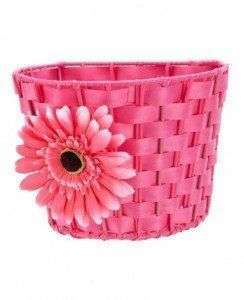 The flower is detachable and can be used by itself on your scooter or even as a hairband or bracelet. The basket is extremely durable as it has a strong frame and is hand-woven with waterproof material. The basket attaches to the handle grips with two strong velcro fastening straps leaving plenty of room for small hands. This provides a secure fit which means the basket won’t fall off or slip down the scooter.